When people discuss the greatest comic book movies of all time, Christopher Nolan's classics (Begins and The Dark Knight), X2: XMen United and Iron Man are widely discussed as the best. I am curious as to why American Splendor is left off that list. Perhaps, the exploits of a file clerk in a Army hospital cannot match those of a whiny Toby Maguire in a spandex suit. 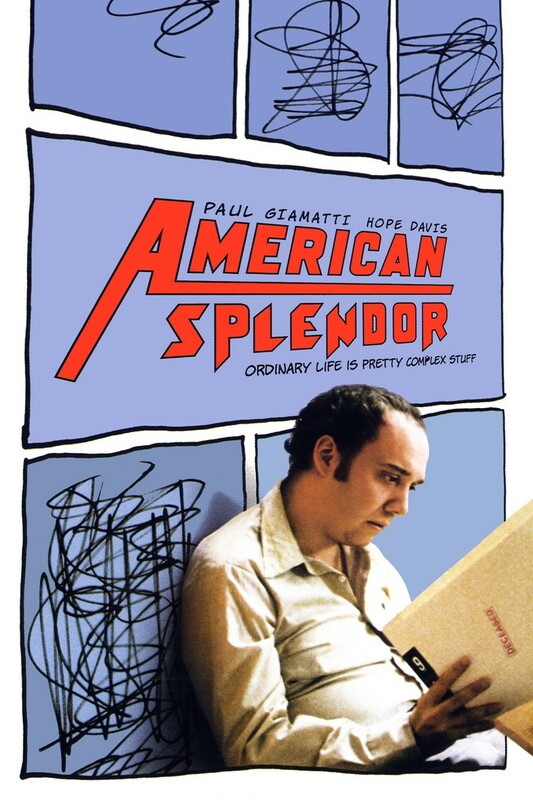 I hereby make the case that American Splendor should enter into the debate because not only was the Shari Springer Berman and Robert Pulcini an amazing film, it (like Nolan's films) transcend its source material and becomes something unique in its own right. 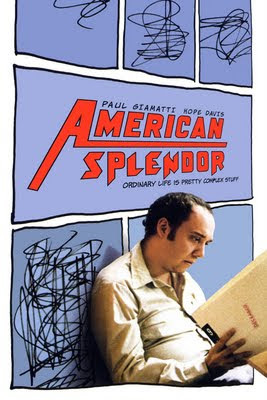 I alluded to the premise of the film, if reduced to its core elements, American Splendor tells the story of Harvey Pekar (Paul Giamatti), an obvious curmudgeon and file clerk for a Cleveland-area VA hospital and the exploits of his daily life. 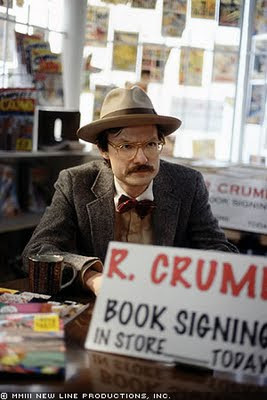 Along the way, he comes into contact with Robert Crumb (James Urbaniak), a celebrated underground comic artist (who inadvertently inspires Pekar to write a comic) and Joyce Brabner (Hope Davis), a Delaware comic book store owner who eventually becomes his wife. The film also covers the celebrated Our Cancer Year arc that details Pekar's bout and victory with lymphoma. The best part of this film is that it serves as a quasi-documentary and drama for the life of Pekar. It has interviews from the real life counterparts of Harvey and Joyce, with the former offering his opinion on Giamatti playing. Furthermore, for this film being the debut feature of Berman and Pulcini, it is an exemplary film that takes many risks and it is not a standard drama and this might bother people. For me, this is an exciting development, as I mentioned earlier allows the film to transcend both of its genres (Drama and Comic book film). This brings me back to the point of this review, American Splendor is forgotten when the question of superior films based on comic book properties is brought up. It is not at the same level as either of Nolan's Batman films but it is better than most of the comic films that came out this summer (and those from years past). The acting was top notch with amazing performances by Giamatti, Davis and Judah Friedlander as Toby Radloff... It goes without saying that James Urbaniak was solid (as ever). Plus, after eight years, the film stands the test of time and is an enjoyable hundred minutes of cinema.